Spirit Airlines is a low-cost American airline, which is based in Miramar, Florida. Its flights are in the United States, the Caribbean, Mexico, and Latin America. Its focus is Fort Lauderdale, Dallas, Detroit, Las Vegas, Chicago, Houston, Atlantic City, and Myrtle Beach. It is the only two-star Airline in the United States. 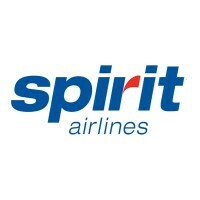 Complete a Spirit Airlines application today. The company began as Clipper Trucking Company in 1963. The airline service was founded in 1980 in Detroit and was called Charter One. In 1992, Charter One changed its name to Spirit Airlines and began expanding its services. In 2007, it began its transition into an ultra low-cost carrier. Since then, the company has been lowering costs and refining its policies. As an ultra low-cost carrier, this company gives customers many options for customizing their base-ticket prices. These include having an agent print a boarding pass at check-on versus doing it online or at a kiosk, for any large carry-on or checked bags, selected seat assignments, and travel insurance. In 2007, the company began charging three dollars for a drink. Spirit Airlines jobs are unique. The company is hiring people who are interested in changing the airline industry by offering low-cost travel. The company is focused on unbundling fares, so customers have more options. The company has been growing meaning there are many opportunities for Spirit Airlines jobs. The company boasts a unique, open-minded and creative culture. Current Spirit Airlines careers that open are listed on the company website. There are a number of positions, many of which are at the company’s base in Miramar, Florida. Jobs available include Technician, Business Systems Analyst, Technical Writer, Maintenance Supervisor, and Customer Service Agent. Some positions are entry-level. Employment details are online. How old do you have to be to work at Spirit Airlines? You must be 18 years old to work here, so do not fill out a Spirit Airlines application unless you meet this requirement. There are entry-level positions, which can get you acquainted with the industry and help you learn what you are interested in doing. There are also job opportunities to move up the corporate ladder. Spirit Airlines careers have many benefits. The salary is generous. Holidays and paid vacation are offered. The company also pays for most training. There are also travel discounts and health benefits. The company also offers a good culture and work environment for all of its employees, giving them flexible scheduling. Flight Attendant – You provide a welcoming environment and very good customer service. You must also ensure passenger safety by providing leadership and direction. For this career, you must have at least two years of prior customer service experience, a willingness to travel to many locations, and a college degree. Salary starts at about $18 an hour. Customer Service Agent – This is a customer service airport job, so it could be local. You will be checking customers in, organizing loading and unloading, and answering all questions at the airport. Job responsibilities include computer literacy, driving, and lifting luggage. Passing a background check and pre-employment drug screening are required. Ramp Service Agent – Ramp Service Agents load and unload baggage, clean bathroom, handle fueling equipment, and fill water. They need a high school diploma and must be able to lift 100 pounds consistently. A background check is required. These careers typically pay a starting rate of $9 an hour and can increase to $11 an hour. Technician – This is an extremely important job. You will be working to make sure the airplanes are held to the highest degree of safety. You will do this by performing daily maintenance in line with company, state, and federal regulations. You will also participate in the upkeep of maintenance plans and tools. Have a successful interview by preparing answers to questions. How did you hear about this position? This is a very straightforward question, so you should keep your answer short, leaving time for more important questions. Explain briefly about where you found the link to apply for jobs at Spirit Airlines. It could be helpful to mention why you applied. What is your dream job? It is okay if Spirit Airlines jobs online is not your dream job. Just make sure to explain why you want this job and how it will help you on your way to your dream job. You could even mention what characteristics would make something your dream job and how Spirit Airlines has some of these traits. Describe yourself. In your answer, briefly outline your resume, focusing on things that are relevant to this job description. You can also mention things you do in your free time in order to give the interviewer a sense of who you are as a person. This will help him decide if you will be a good fit for the company. What unique skills do you have? This is your chance to show why your application form is the best one they received. In your answer, mention personality traits and work-related skills that you have. This will demonstration that you could be the right candidate. The only way to be hired is to stand out from the crowd of applications. What question haven’t I asked you? It can be difficult to think of something that the interviewer has not asked. To help yourself answer this, you can mention a small fun fact about yourself. Otherwise, you could mention projects you have done, people who are your role models, or special skills you haven’t yet mentioned. How to apply for Spirit Airlines online may seem challenging, but you are definitely up to the challenge. You can find open positions online, so apply online. There is a Spirit Airlines job application online unique to each opportunity. Complete the direct application with care, completeness, and attention to detail. There is no printable application for Spirit Airlines, so if you do not have access to the online application, contact Spirit Airlines. They can send you a printable application form or tell you how to download application form from a public computer. If you have any questions throughout the free application process, do not hesitate to contact Spirit Airlines. Beyond the interview and the application, you should educate yourself on the company. This will make you a stronger applicant and will make you certain that this is the right job for you. Read through everything you can on the company website, as well as on other job-related websites. Do not be afraid to ask questions during the interview or to call the company for clarification. Malaysia Airlines: Use the Malaysia Airlines job application to apply here. British Airways: British Airways offers opportunities for both, beginners and experienced roles. Emirates: Emirates offers opportunities for both, beginners and experienced roles. Carnival Cruise Lines: For employment at Carnival Cruise Lines visit the application page. Frontier Airlines: See our guide for careers at Frontier Airlines.